Are you an artist in the West End? Would you love to share your passion for the arts with other members of your community? 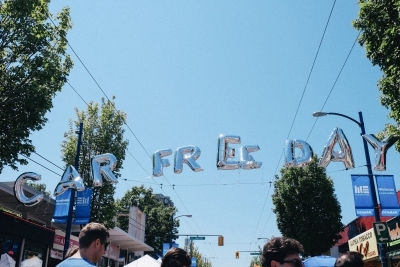 If so, join WE Arts on Saturday, June 18 to bring an explosion of art and creativity to Car Free Day West End on Denman Street! 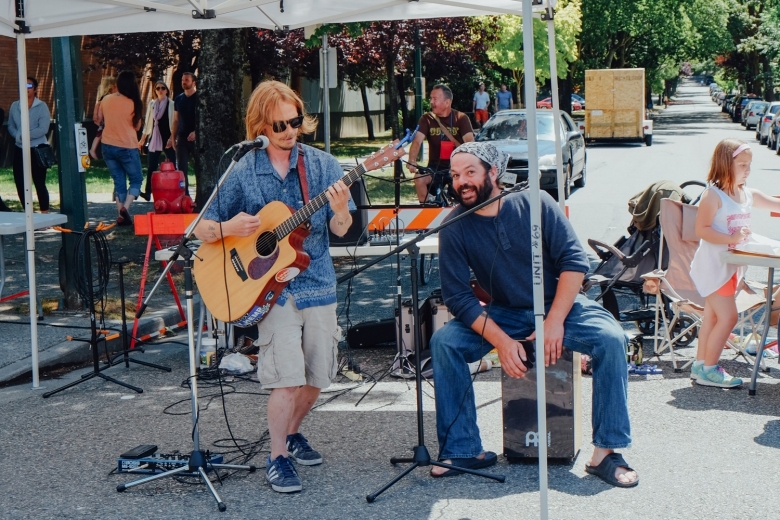 From 12pm until 6pm, local artists can gather together on a car-free (and carefree) Denman Street to showcase their work, interact with the public, and create engaging art live on the street. Unleash your creative imagination and know that you will be among a supportive community who want to share their vision for a creative West End. You may even discover a new connection for a future art project or collaboration! 1.) West End Art Jam is in year three, music jam focused, inviting locals to join in and play. You’ll find us close to the high school at Barclay Street. Curious to learn more? Contact Chris at chrishyndman777@gmail.com for details. 2.) Art on the Street is a new presence grown from last year’s Car Free Day. Our “Where Are You From Map” drew hundreds of folks who stuck their pin in the world map sharing their roots. Celebrating our creative global community, with limited venue spaces in the West End, this year we invite artists to share their artwork, dig it out from the closet, basement, under the bed, even take it off your wall for the day, share it with thousands of friends and neighbours at Art on the Street at West End Car Free Day. Located opposite the Denman Place Mall, close to Nelson Street. Additionally, WE Arts will have 20 display panels (4’x6′) and six tables under tents. The tables are for sellers of art available for $15, and the display boards just $10 each. Sales are allowed, artists should be present to meet the public and make sales. Contact Catherine at events@wearts.ca for more info. The fun takes place on June 18. We look forward to seeing you all there!